1. Making bead necklaces - this is something my kids love to do and do regularly. It's not because I set it up for them as a fine motor activity, it's just because it's something fun that they like to do. I bet yours do, too. All you really need to do is have some beads and yarn/ribbon/shoelaces handy where they can access it. Choose beads in a size that is appropriate for the age of your children. 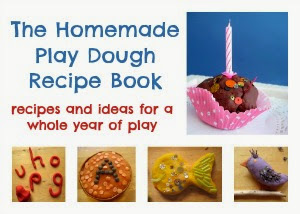 For older toddlers and younger preschoolers, pasta shapes make great beads. For older preschoolers and grade-schoolers, commercially sold beads might be more appropriate. 2. Using chopsticks to eat - our kids love sushi, and always insist on using chopsticks to eat it (with *some* success!) But if your family doesn't eat sushi, why not try chopsticks now and then with noodles - or most any other dish? (Obvious exceptions would be non-sticky rice and soup!) Our 3 year old uses training chopsticks or simple wooden tongs, while our 6 year old uses regular kid-sized chopsticks. 3. Peeling and sticking stickers - stickers require some tricky fine motor skills, especially small ones or ones that are printed individually on their own backing papers, like the collector style stickers we used to make our sketchbook invitation to draw. All kids love to stick stickers on things. Give them plenty of stickers to attach to their artwork, in sticker books, or on crafts or cards. 4. Drawing with pencils, markers, crayons, and chalk - simply drawing, and drawing lots, aids fine motor development and pencil grip. Have lots of drawing and colouring tools on hand that they can easily access any time, and bring home the recycling paper from the office for drawing on. Consider getting some triangular pencils or pencil grips to help with proper grip if that is a concern for you. And if your child is left-handed, there are some great left-handed pencils with built-in grips that we can really recommend. 5. Tearing off sticky tape to use in crafts or to wrap gifts - sticky tape, either on a dispenser or not, requires some careful fine motor skills to tear/cut off. Regular tape is fine, or get some tape with cute designs and they will love using it to decorate all their arts and crafts projects! 6. Painting with paintbrushes - like drawing, painting with paintbrushes develops fine motor control and pencil grip. Larger brushes are suitable for smaller hands, while smaller brushes are suited to older kids. 7. Getting dressed independently - Buttoning sweaters and zipping zips is a natural way for kids to develop their fine motor skills, and they will feel so proud that they are dressing all by themselves! 9. Opening and closing water bottles to drink - try to encourage your little one to learn to do this alone rather than 'over-helping' them with it. 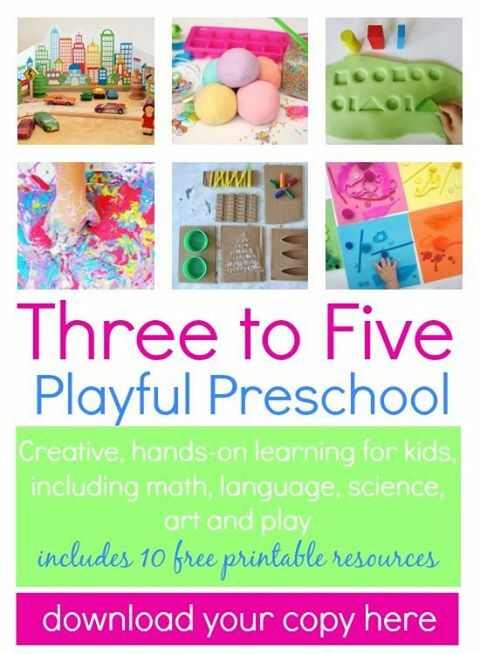 Another one to grow independence at the same time as fine motor skills. 10. 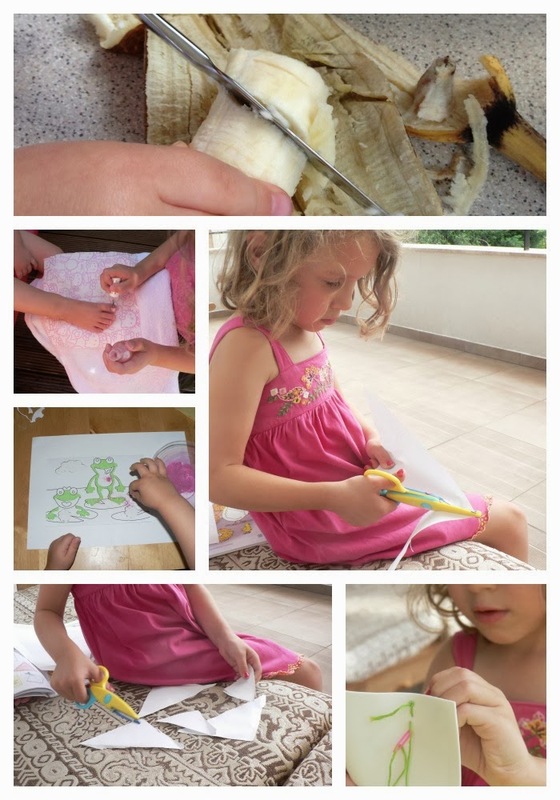 Cutting paper with scissors to make crafts and collages - Depending on the age of your child you may not want to leave kid scissors out all the time, but as soon as they are trustworthy with them, add some scissors to their art supplies that they can access whenever they please. My two love to just cut up pieces of paper to make all sorts of things. I usually save the little bits to use for collages later on. 11. Using a fork and knife - ok, so this makes 11, but really, it's not hard to add this one to your daily routine, is it? Teach your preschool child to use a butter knife to spread butter on his or her sandwich or cut up a banana, and show your kindergartener how to hold a knife to cut his or her own dinner. 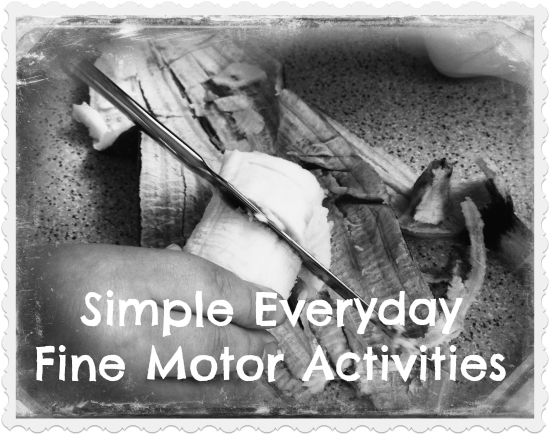 What other everyday ways do your kids practice their fine motor skills? 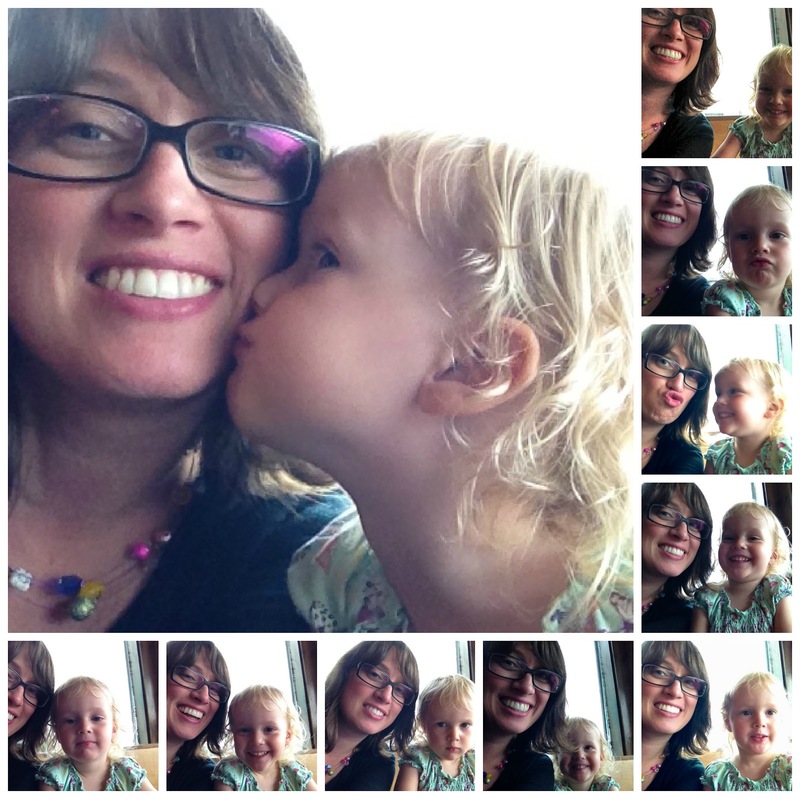 You might also like to check out this wonderful post from Moving Smart Now about the importance of gross motor skills as a prerequisite for writing in school later on - one of my all-time favourite posts from one of my all-time favourite blogs! 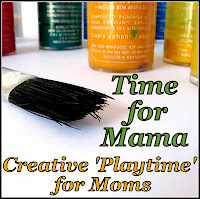 And if, despite all you just read, you *are* looking for some of those genius creative fine motor skills ideas on Pinterest, you'll fine plenty of those on the KBN Fine Motor Activities board.